I received an email the other day from an office that had the single purpose of informing everyone on the mailing list that they will be closed from August 1 to September 3. It is hard to believe that in modern Italy, and during the relentless economic crisis, so much of the country still closes down for August holidays. “Chiuso per ferie” is an August tradition in Italy, but where does it come from, and why does it persist? Italy has one of the longest school breaks in modern Europe, and historically it was even longer. The generation before ours was off from June 10 to October 10! Now kids return to the classroom by mid September, but still finish early – this year it was June 7th, leaving parents wondering where they can dump their kids for three months. Summer camps cost hundreds of euros per week, so many ‘nonni’ (grandparents) are put to work in childcare, preferably at the beach, and parents take off what time they can to do their part. This scholastic periodicity to the year comes in part from tradition, and in part from a lack of airconditioned infrastructure, which makes it impossible to work in the hottest months. 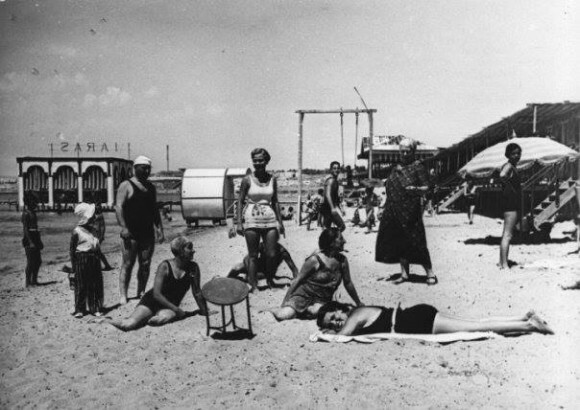 In the 1950s, the tradition of the bathing establishments and holidaying at the sea arose, especially on the coasts of Northern and Central Italy, while in the South, people continued to go to the beach at more economic city beaches. My father in law recalls how in Taranto (Puglia), mothers and kids often spent the whole day at the beaches in the city, in those pre-Ilva days when the water was still clean; others packed onto crowded local buses to go to the free beaches outside of town, but more rarely. Wealthy families had beach homes close to the city, to which whole families moved in the summer and from which the father would commute to work – mothers did not work, or were teachers during the school year. The poorest were able to take advantage of state-subsidized summer camps for kids, set up at the beaches towards San Vito (about half an hour out of the city), where kids were shaved for maximum hygiene and coolness and kept for months at the beach! Other families moved to country houses, since the beach was not yet a tradition adopted by 100% of Italians. Give people a summer holiday and they’ll never give it up. 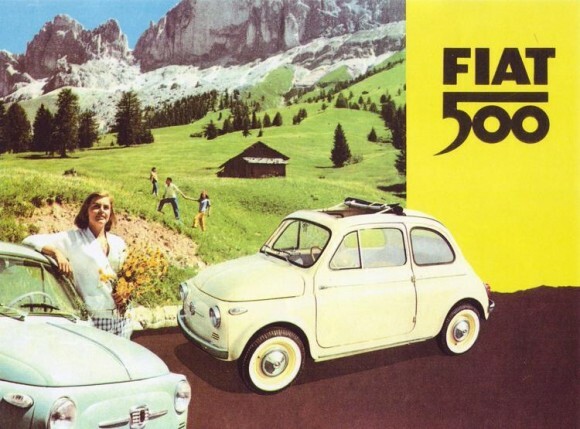 By the 90s, industrial Italy was already waning, and now, in 2013, it hardly exists. If I think about my friends and where they work, few work for companies that have an industrial production line. The few that do actually do close for the whole month of August, namely if they are SMEs (small or medium sized) and/or family run. Those that don’t, however, still close. Not for the whole month, but for a week, two weeks or more… I was speaking with a friend who works in a digital startup and she said “we aren’t closing for August, well, just for the week around Ferragosto,” which is a funny form of remaining open! I work in a digital communications company, Flod, and in recent years we have claimed not to close, but it just so happens that everyone takes the middle two weeks of August off, resulting in, in fact, closure. Attempts on my part to work through these weeks have failed: there is no point… I have no clients. Being “chiuso per ferie” in August is ingrained in Italian society, and remains so despite many people disdaining it. August in the city means less traffic and always finding parking spots. It’s often less hot than in July. People who do work in August say that it’s calm and quiet and they can get a lot done. But the “italiano medio,” your average Italian, still insists on going to the beach at the most expensive time of the year, leaving the city empty to those smart enough to stay in it and those too poor to leave it (though even the gypsies and itinerant vendors move to the seaside – they can’t eke out a living begging in an empty city). Even the Italian parliament closes down, despite public outcry (we’ll see if they dare do it again this year – it might cause a revolution). Me, I’ll be going to the beach in Maremma for two weeks. Sure, I’d rather go in July, but then I’d find myself in an empty, un-airconditioned office in Florence in August, when the bus system runs so infrequently that you melt on the sidewalk waiting for it, for even the bus drivers are all at the beach. If you can’t beat ’em, join ’em. What do you think of the fact that a whole country closes down for August? Add your stories and comments here!